The goal of this release is to improve the Moodle plugin and take it one step closer to being marked with the stable maturity. It is currently marked as a release candidate. Drag and Drop, Memory Game and a couple of other content types also received enhancements thanks to the work of passionate developers in the community. 'Backup and Restore' functionality has been added to the H5P Moodle plugin thanks to a timely contribution by Paul Vaughan and the veteran Finnish contributor Juho Jaakkola. 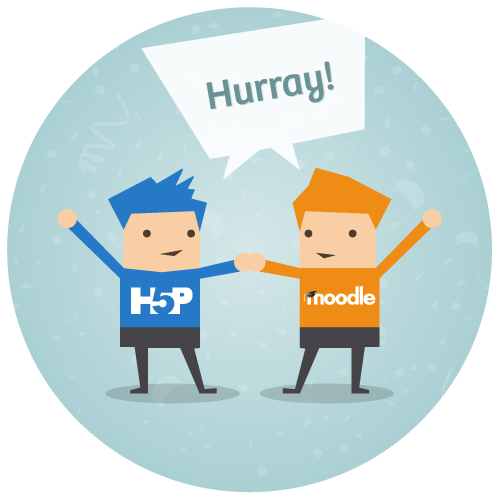 You can now backup and restore Moodle Courses that contain H5P content in the same way you would with normal Moodle Courses. It's been a highly requested feature and I think many will be happy that it is finally here. The backup and restore features in Moodle are used for so much more than backing up and restoring courses. H5P content is an integrated part of the courses that should follow along when courses are being moved around. The H5P Core Team will probably get around to working on the LTI plugin late this year. It's definitely one of the top priorities in the near future. H5P.com will provide an integration with Canvas. You may sign up for updates on H5P.com. This release is so very interesting and useful - so grateful.